With the Lunar Eclipse in 00° Leo, we are picking up the echoing energy from the Solar Eclipse we had at the beginning of the month! This year, the Winter Solstice begins on the Full Moon when we can connect back to the Summer Solstice to bring light back into our world at an accelerated rate. Synthesis is always greater than its individual parts. Weekly Horoscope: Look towards the light. First of all, a lunar eclipse is a difficult lunation. It was a bit of a challenge to find the secret wisdom within this lunar eclipse, because one should always interpret the stars in an optimistic manner, while remaining entirely honest and transparent of the challenges presented. Bringing it down to earth. We are making our way through the final cycle of the winter season! Let’s make sure that we REALLY use this time appropriately to close all loose ends before the Spring Equinox! To the degree we are able to clean up and organize ourselves will determine how much we can grow when we begin the new astrological year of 2018 on the first of Aries! Wow! This week we have a gazillion players in the sign Pisces. Including Chiron! It’s a Pisces party! Somehow we are dealing with our mismanagement of money, finances and good fortune (which applies to wealth on all levels). Our bank accounts want to expand, but something needs to heal first. Something related to our ability to receive. Remember, we only receive what we give! We don’t want to play roulette with our finances by throwing the dice, crossing our fingers and hoping for the best. With all these planets in pisces, we are prone to flirt with daydreaming our way into completion. It’s just not going to work that way, at least not this week. Luckily for us, there is a supportive aspect in this week’s chart, we just need to activate it. A nice, and strong sense of practicality, responsibility and discipline to get the job done. It’s great to have dreams, but it’s even better to MANIFEST them! Calculate the odds. Don’t let them hold you back though. We need the imaginative part to help us surmount them like a gymnast over a vault. It’s there, we know what we need to do and we have practiced and now it’s time to do it. There’s plenty of raw material swirling around the air this week, but it will only stay on the conceptual level unless we work to bring it down to earth. We have The Full Moon in Virgo this week, which is the final Full Moon before the Spring Equinox. So, we want to get rid as many obstacles as we can. I will be hosting a live event on YouTube to talk about this lunation and guide us all through an powerful dash Full Moon Ritual. Remember, this is all within the context of wrapping up the astrological year, so that we can make the next rotation through the zodiac even stronger, better and happier. Please read my “notable transits” for each day this week, or follow me on Twitter to get the updates as they occur. Saturday: What did you learn this week? Today is the day to go over the details and rethink what just happened over the past 7 days. Don’t get reactive, be responsible! Just learn the lesson and take it with you as you move on. You are not who you were. #saturn in #capricorn #semisquare #jupiter in #pisces. Largest Full Moon of 2018! Get ready to ring in the New Year with something far more illuminating than fireworks in the night’s sky. 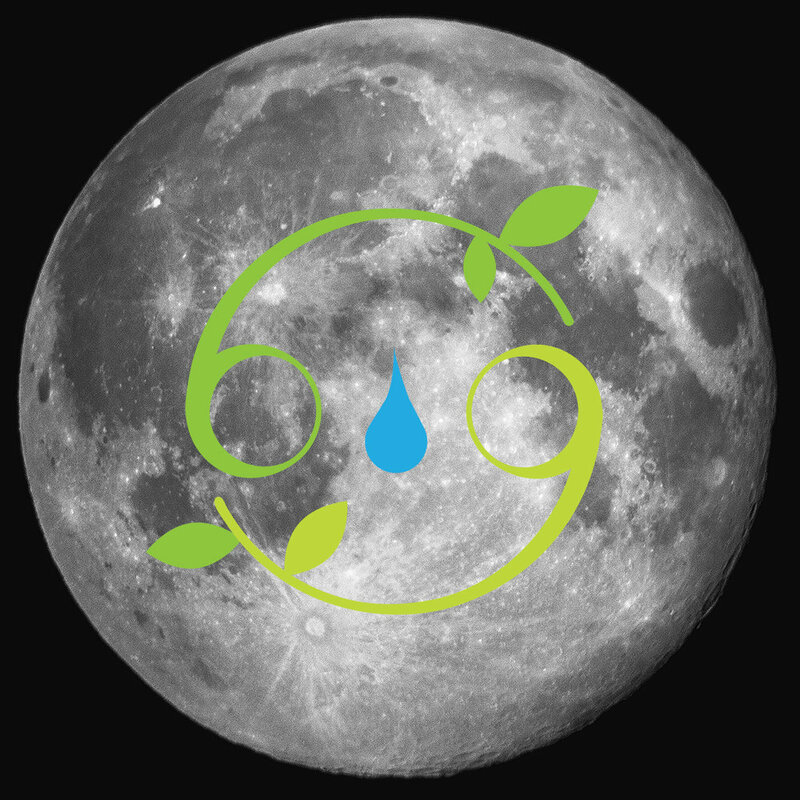 On January 1st, 2018 at 6:23 PM (PST) there will be a Full Moon in Cancer. Use this time converter to find the time of this lunation in your time zone. What’s very special about this Full Moon is that the moon will be very close to the earth, making the moon appear larger than normal. In astronomy, this is called a perigee syzygy, and in astrology we call this a SuperMoon. The perigee (which means near earth), will occur hours before the Full Moon, at just 356,565 kilometers away from earth making it the closest perigee and SuperMoon of 2018. What a way to kick off the New Year on this first day! What's more is that this Moon is also called, the "Wolf Moon" which is really making a howl right from the start. This is very auspicious as we will soon enter the Chinese New Year of the Earth Dog and we know that all dogs are descendants of the wolf. We also know that January 1st is the seed level of the entire year so what is this telling us? Well, we need to look at the archetypes at play. First, when we take the number 356,565 (which is the number of kilometers the moon will be from earth) and break it down, we get the number 3, which is all about creativity, abundance, multiplication, and increase. We use kilometers because NASA does. The number 3 rules the planet Venus, and when we look at the chart of the SuperMoon we find that Venus will be conjunct the Sun as well as opposite the Moon. This actually raises mother issues for all, and as we all have a mother, we need to be aware of the challenges that could come to light now and for the rest of the year. It’s about holding onto chaos or celebrating freedom. I know this is a lot to process, but we have a year to work with this energy arising. We will want to resolve mother issues, either being a mother or with our actual mother. This is, of course, only one interpretation. On the abstract level, we are being creatively challenged with how we perceive and handle our world. It is our task to really find harmony in change more than ever. As a society, we are so geared to reading about the latest advancements in science and technology, and even line up to get the latest iPhone every year, but how well do we welcome change in our own life? It’s really about changing that which we think should remain the unchanged. We are all being confronted with an area we are unaware of that will ask us to change it. If, on the other hand, are on a spiritual path, meaning mindful, open, and honest, then we probably already have a good idea of the changes we need to make to align with harmony. Remember, harmony will always prevail over the ego and it’s comfort zones, etc. Let’s try to be proactive in this respect. In dash Astrology, we want to always remain ahead of the curve to transcend the astrological effects as they are arising. So I want to mention that maybe you have been preparing for this in the preceding weeks, and now you know why. This SuperMoon will occur in Cancer. Cancer is ruled by The Chariot archetype which is the vehicle of the divine expressing itself through us. It symbolizes our body, our home, and the physical manifestation of the essential self in a unique and perfect way. Biologically speaking, Cancer rules over speech, the stomach, the breasts and chest as well as the disease, Cancer. So we have a very healing Full Moon on New Year’s Day. There could be scientific advancements, or maybe even the cure to Cancer could be revealed and accepted. Astrologically speaking, Cancer teaches us how to integrate all the archetypal energies, and put them into action. It is able to do this because of its sensitivity and ability to act out these energies in motion, aka EMOTION. With Cancer, we need to be careful of feeling overwhelmed and hosting negative energies. It teaches us how to cleanse negativity and nurture ourselves as well as others into being centered. 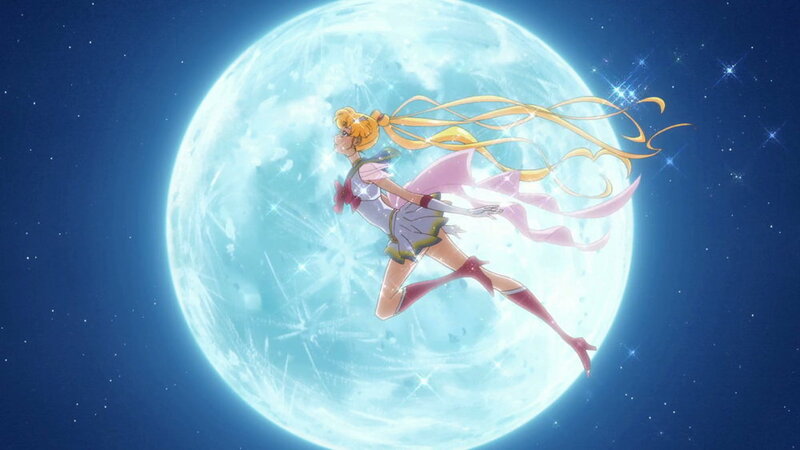 The co-ruler of this SuperMoon is Pluto, who is currently transiting Capricorn. This tells us there is a huge emphasis on leveling up! Pluto is the planet of judgement and resurrection. It judges us to the degree we have judged others. However, Pluto is also the planet of transformation and upgrade. Pluto wants to wake us up from “The Matrix” as it has the power to move us from a place of darkness into a place of light. Considering all of the above, we can heal our darkness during the largest SuperMoon of the 2018. We will need the extra light illuminated on New Year’s Day so that we may direct it wherever needed. Depending on where this is happening in your birth chart will already give you an idea of where the light will go on its own, without conscious meditation and direction. Given that perigees are often time of earth shattering and tidal waving phenomena, and given that Cancer rules the coastlines and shores of the earth, I ask for all of us to pray for mercy to avoid any natural disasters, storms or coastal, tidal surges. If we can help others, we will unlock the celebratory, joyful and fulfilling energy of this SuperMoon in Cancer. January will have the honor of hosting 2 Full Moons this year: the first on the 1st and the second on the 31st. Be sure to check out my Astrological Guide on the first 12 days of January to create your New Year! I recommend using the blend “cancer” as well as “therapy” during this SuperMoon Lunation. This week starts off the month of October! Pluto went direct last week, just in time for Halloween! All sorts of ghosts of the past my creep to haunt us! Use some temple essential oil blend to keep them at bay so that we can make the most of this energy of transformation and upgrade from the past! Today is the seed level of the month. So, let’s have a strong consciousness about moving forward! We sense the necessity to recognize our gifts and talents, but unless we put them into work, it’s just ego stroking. So, in order to get things moving toward our personal “forward”, we need to see and accept who and what we are, then we will know what we are capable of achieving. We need to be careful of trying to sneak away from the insights we got on Sunday. This means, we shouldn’t try to slip out the backdoor when we have already made a game plan through the front. Watch out for the sneaky side swiping from the ego. Try to stay 2-steps ahead by acknowledging your weaknesses and being humble about them. Don’t suppress your stuff, use to to move forward! Both yin & yang are coming together today, so it’s a great day to take your relationship to the next level. Even if you’re single, it’s a day to see where you stand with your intimate relationships, past, present and future. Old ways of “love” will be broken down, and new identities can come to light. This is all about becoming a new you. Now, this is an extra significance of leaving a legacy. So look at what you want in your relationships and where you want to go. What’s the point of being with that person, or not being with them. Answer these questions honestly and allow a new you to come through. On Wednesday, there is a lot of “getting things off your chest” in the air. Don’t be surprised if someone comes at you with something from out of the blue about something from the past. It is most likely something they haven’t dealt with yet, even if you have. If you turn out to be that person, then triple check where you are coming from. You might be able to resolve it on your own. Thursday hosts the Full Moon in Aries! This is the first Full Moon since the Autumn Equinox. The house where this Full Moon is occurring asks you to reflect upon this area of your life. It’s always a good idea to book a session with me to prepare for these types of transits. For example, I could tell you where this is occurring in a Lunar Return Reading. This Full Moon is about influence, success and establishing our power, so we can work on that area of our chart, and ask for these gifts to manifest over the next 2 - 4 weeks. Today introduces a new type of energy, which is focusing on money, abundance and manifesting all of our wholesome desires. We are again breaking down identities in the way of manifesting our dreams and may be forced to resolve some tensions that we would rather not face without instigation. Stay calm, and know that everything has its purpose and that it will all be okay. How we react is always more important that what happens. Saturday has us channeling our energies toward where we are going. Expect shifts left and right. Every future has a matching past, so we need to keep this in mind when going through sudden shifts. When I say shift, I mean things disappearing, vanishing or being different. We may not even be aware of it, so as always, we stay true to the belief that things always get better! Also, Saturday is the full manifestation of the week, so we are downloading a lot of energy to help us make that step forward! Monday: We are redefining our definitions of love. Tuesday: Take your relationship status to the next level! Wednesday: Try to resolve things without involving others. Thursday: Full Moon in Aries. Friday: Focusing on money, abundance and manifesting wholesome desires! Use the Libra Essential Oil Blend! Sunday: Sun 8* Libra quincunx Saturn 22* Sagittarius & semi-square N. Node 23* Leo. Monday: Moon in 3rd decan Aquarius, and 1st decan Pisces. Tuesday: Mars 17* Virgo conjunct Venus 16* Virgo trine Pluto 16* Capricorn. Wednesday: Mercury 8* Virgo conjunct Sun 11* Virgo, quintile Saturn Saturn 22* Sagittarius. Thursday: Full Moon at 12* Aries 43' October 5, 2017, 6:41 PM UTC. Friday: Venus 20* Virgo conjunct Mars 19* Virgo, square Saturn 22* Sagittarius. Saturday: Saturn 22* Sagittarius trine N. Node 22* Leo. Sunday: Sun conjunct Mars in second decan Leo. We are in the middle of summer this week. The energy of today sets the tone for the rest of the week. The Sun and Mars are still conjunct in fiery Leo turning up the heat. This is a A LOT of fire energy so we do not want to get burned, and the best way to do utilize this fireball of energy is to open the heart. Think of the heart as a conduit of heat and fire, which serves the purpose of transformation. If the heart is open there will be no explosion. In this zone of the Zodiac, both the Sun and Mars are activating our ability to succeed and thereby increase our confidence. There is advancement, even if it isn't obvious, and we just need to keep in mind that in order to gain confidence Mars will break down little, pathetic egos. However that looks depends upon you. I suggest being proactive about it. Get ready for the Full Moon Lunar Eclipse today. Astronomically speaking, a lunar eclipse occurs when the Moon passes through the umbra (the shadow) of the Earth on the ecliptic plane. What this means for us is that our subconscious will be totally out of reach! It’s going to be extremely difficult for us to connect with that full moon power. Because it is occurring in Aquarius, during the month of Leo, this means that our ego is trying to hide. Also, Mars isn’t making things easier as it is adding more energy to this transit. It could be a day that is like so full of ego that we wouldn’t know it if it hit us on the head! So much suppression! If you want to avoid swelling in the head, ankles or back, keep your ego in check and double check your actions before you make them! There is bound to be tension if we forget about this transit. This will ripple out for two weeks until the total solar eclipse on August 21. Then the moon will block the earth and be shown everything that was hiding. If we can manage to incorporate the above, we will receive perspectives on issues that are genius! We need to prove that we are worth the great ideas, the great timing and the change of direction. Tuesday: Mars in second decan Leo. On Tuesday Mars begins to separate a little bit from the Sun, which will help the intense heat. This leaves us focusing on teamwork, achievement, and taking action to be the leader in our work, life, or wherever that role is opening for you. Time to step up and take some action, just don’t get onto a high horse about it. Wednesday: Mercury in Virgo opposite Rx Neptune in Pisces. Wednesday has a lot of “vacation” energy to it. In this down time, and we are floating in Neptune's domain which is bringing up dreams about unfulfilled wishes and dreams (because it is retrograde). But, Mercury is giving us the ideas we need to fix these unsatisfied and unfulfilled wishes. Put them into implementation, the Mercury in Virgo helps us really manifest. Thursday: Jupiter in Libra square Pluto and sextile Sun. Jupiter is still helping us open and heal our heartbreaks now with an added boost of digging up old structures. However, right there we have a nice transit helping us illuminate and burn out whatever comes up. It could be like a vampire that hits the light of day and vanishes. Celebrate! There is a flow of positive energy today. Good for recreating, play and joy. Be careful to not drink too much, or at all. With this transit, as fun as it can be, drugs or alcohol will just increase the illusion and make the Saturnian morning after that much more harsh. Venus is in Cancer making us mushy and patriotic, while Neptune is at home in Pisces looking at what is missing. So today the voids are filled, but if we want it to last we can’t do it with anything from the “outside”, it can only be non-attached love. Do some bonding, and enjoy your friends. Saturday: Saturn in Sagittarius trine Sun in Leo. As always, Saturday is the cumulative energy of the week we just had. Which means that it will all come back to us. We are unloading burdens, and releasing old patterns. It is one thing to work on the patterns, but in the end all we really need to do is get rid of them. This week, we have been shown a lot about our patterns and we are in the eclipse season so today we get a boost of clear our psychic cache. We are advancing toward our goals! Activate the inner leader within! Stay off the high horse. We are healing more heartbreak. Do some bonding, and enjoy your friends. Watch my FREE Leo video. Smell the Leo Essential Oil Blend. Listen to my Leo playlist!